Treating inflammation of the eyes and eyelids due to certain conditions. It may also be used for other conditions as determined by your doctor. What are prednisolone eye and ear drops used for? Reducing inflammation in the eyes (red, swollen and painful eyes), for example caused by chemicals, heat, radiation, allergy, or foreign objects in the eye. The drops are sometimes used after eye surgery. Reducing inflammation in the ear, for example in otitis externa. How do prednisolone eye and ear drops work? Prednisolone is a type of medicine called a corticosteroid (or steroid). Corticosteroids are medicines used for reducing inflammation. Prednisolone reduces inflammation by stopping cells from releasing these inflammatory chemicals. When it's administered directly into the eyes or ears it reduces inflammation in these local areas. How do I use prednisolone eye drops? One or two drops should be put into the affected eye(s) every one to two hours to begin with, usually for the first 24 to 48 hours. You only need to use the drops during the hours you're awake. You shouldn't wear contact lenses while using prednisolone eye drops because they may make your eye inflammation worse. Multi-dose bottles of prednisolone eye drops may also contain a preservative called benzalkonium chloride, which can be absorbed by contact lenses and cause eye irritation. It's a good idea to press on the corner of your eye closest to your nose for a few minutes after putting in prednisolone eye drops. This is to minimise the amount of the steroid that drains though your tear duct and is absorbed into your bloodstream. If you're using a multi-dose bottle of eye drops this must be disposed of four weeks after opening. Don't save it for future use because it's likely to be contaminated with germs by this time. If you're using single dose prednisolone minims there should be enough eye drop solution in each minim to treat both eyes if needed. Each minim should be disposed of after use, even if some solution remains in the unit. Prednisolone minims don't contain a preservative. How do I use prednisolone ear drops? To begin with, you should put two to three drops into the affected ear(s) every two to three hours while you're awake, usually for the first 24 to 48 hours. What if I miss a dose of prednisolone eye or ear drops? See your doctor if there is little or no improvement in your symptoms after seven days of using prednisolone eye or ear drops. These drops should not be used for longer than seven days, unless under expert supervision. If prolonged therapy is needed, you should have regular check-ups with your doctor so they can monitor you for adverse reactions. After more prolonged treatment (over six to eight weeks), the drops should be withdrawn slowly to avoid your condition relapsing. Who shouldn't use prednisolone eye or ear drops? Severe untreated bacterial eye infections. Viral infections of the eye, eg herpes simplex. Do not use prednisolone eye drops to treat a red eye that has not been diagnosed by a doctor, as inappropriate use can cause blindness. Prednisolone eye and ear drops shouldn't be used if you are allergic to any of the ingredients. Check the ingredients in the leaflet that comes with the drops if you know you have any specific allergies. If you feel you have experienced an allergic reaction, stop using the drops and inform your doctor or pharmacist immediately. Can I use prednisolone eye or ear drops while pregnant or breastfeeding? Prednisolone eye and ear drops are extremely unlikely to have any harmful effects on the baby if used for short periods of time by women who are pregnant or breastfeeding. If you are at all worried you should get advice from your doctor or pharmacist. If your doctor does ask you to use these drops in your eye(s) while you are pregnant or breastfeeding, you should minimise the amount of medicine that is absorbed into your bloodstream and thus passes to your baby, by pressing on your tear duct while putting in the drops, and for a few minutes after. The tear duct is at the corner of the eye closest to your nose. What are the possible side effects of prednisolone eye or ear drops? Intensive or prolonged use of prednisolone eye drops may lead to an increase in the pressure inside the eye, glaucoma, damage to the optic nerve or the formation of cataracts. 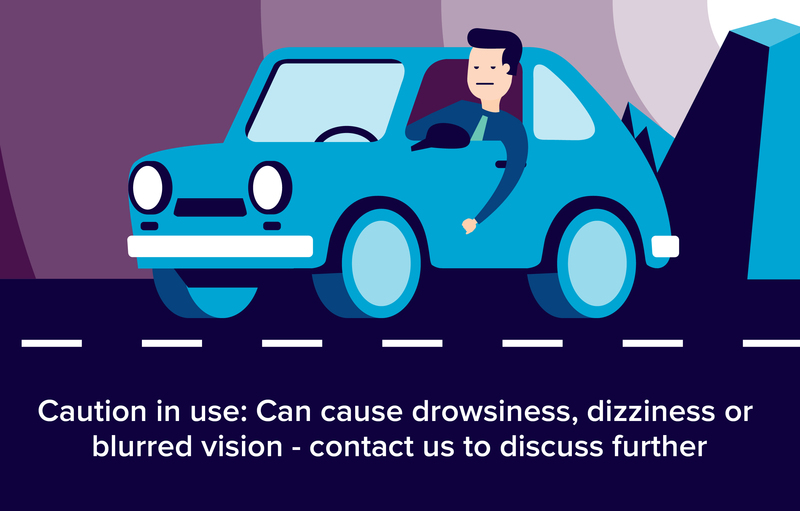 Your eye specialist will want you to have regular eye check-ups to monitor for these types of side effects if you use prednisolone eye drops for long periods of time. Can I use prednisolone eye or ear drops with other medicines? It's important to tell your doctor, eye specialist or pharmacist what medicines you are already using, including those bought without a prescription and herbal medicines, before you start using prednisolone eye or ear drops. Similarly, check with your doctor or pharmacist before using any new medicines with these drops, to make sure that the combination is safe. If you're using any other types of eye drop you should administer them at least five minutes apart, to prevent the second drop washing away the first. Use eye gels or ointments last.